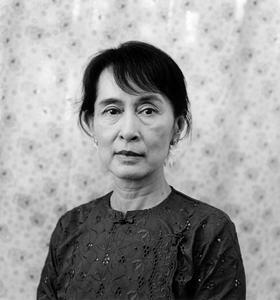 GROUP EXHIBITION: Portrait of Aung San Suu Kyi featured in "Bodleian Treasures: 24 Pairs," which presents some of the best of the 12 million items in the Bodleian Libraries’ collections and will uniquely display these treasures in 24 pairs. Familiar icons of the Libraries’ extraordinary holdings will be shown alongside the less familiar, opening new avenues into the wealth of the Bodleian’s famous collections. The exhibition itself is open to the public in the Treasury of the Weston Library.